Article 12 of Regulation (EC) No 881/2004 of the European Parliament and of the Council of 29 April 2004 establishing a European railway agency (Agency Regulation) (2) requires the European Railway Agency (hereinafter referred to as ‘the Agency’) to ensure that the technical specifications for interoperability (hereinafter referred to as ‘TSIs’) are adapted to technical progress and market trends and to the social requirements and to propose to the Commission the amendments to the TSIs which it considers necessary. By Decision C(2007)3371 of 13 July 2007, the Commission gave a framework mandate to the Agency to perform certain activities under Council Directive 96/48/EC of 23 July 1996 on the interoperability of the trans-European high-speed rail system (3) and Directive 2001/16/EC of the European Parliament and of the Council of 19 March 2001 on the interoperability of the trans-European conventional rail system (4). Under the terms of that framework mandate, the Agency was requested to revise the TSIs on high-speed rolling stock, freight wagons, locomotives and passenger rolling stock, noise, infrastructure, energy, control-command and signalling, operation and traffic management, telematic applications for freight and passenger services, safety on railway tunnels and accessibility to persons with reduced mobility. On 31 March 2011, the Agency issued a recommendation on the specification of the register of infrastructure, the procedure of demonstrating the level of compliance with the basic parameters of the TSIs for existing lines, and subsequent amendments to TSIs (ERA/REC/04-2011/INT). On 9 June 2011, the Committee established in accordance with Article 29(1) of Directive 2008/57/EC gave a positive opinion on the draft Commission Implementing Decision on the European register of authorised types of railway vehicles and on the draft Commission Implementing Decision on the common specifications of the register of railway infrastructure. Following the adoption of the two Commission acts based on these drafts, namely Commission Implementing Decision 2011/633/EU of 15 September 2011 on the common specifications of the register of railway infrastructure (5) and Commission Implementing Decision 2011/665/EU of 4 October 2011 on the European register of authorised types of railway vehicles (6), the relevant TSIs need to be updated to ensure global consistency. Appendix A of the current TSIs on Operation and Traffic Management refer to version 1 of European Railway Traffic Management System (ERTMS) operating rules that were developed on the basis of European Train Control System (ETCS) System Requirements Specifications (SRS) version 2.2.2. ETCS SRS have reached a stable version 2.3.0.d. This needs to be reflected by updated ERTMS operating rules in the TSIs on operation and traffic management, for both conventional rail and high-speed. On 20 July 2011, the Agency issued a recommendation on revised ERTMS operational principles and rules’ in TSIs on Operation and Traffic management for conventional rail and high-speed rail (ERA/REC/08-2011/INT-ERTMS). On 8 September 2011, the Agency issued a recommendation on further amendments to TSIs to correct errors and deficiencies (ERA/REC/07-2011/INT). For practical reasons, it is preferable to amend a series of TSIs by a single Commission Decision to implement particular corrections and updates in the legal texts. These corrections and updates are not arising from a global revision of the TSIs or from the extension of their geographical scope. Commission Decision 2011/314/EU of 12 May 2011 concerning the technical specification for interoperability relating to the operation and traffic management subsystem of the trans-European conventional rail system (18). The Annex to Decision 2006/861/EC is amended in accordance with Annex I to this Decision. The Annex to Decision 2008/163/EC is amended in accordance with Annex II to this Decision. The Annex to Decision 2008/164/EC is amended in accordance with Annex III to this Decision. The Annex to Decision 2008/217/EC is amended in accordance with Annex IV to this Decision. The Annex to Decision 2008/231/EC is amended in accordance with Annex V to this Decision. The Annex to Decision 2008/232/EC is amended in accordance with Annex VI to this Decision. The Annex to Decision 2008/284/EC is amended in accordance with Annex VII to this Decision. The Annex to Decision 2011/229/EU is amended in accordance with Annex VIII to this Decision. The Annex to Decision 2011/274/EU is amended in accordance with Annex IX to this Decision. The Annex to Decision 2011/275/EU is amended in accordance with Annex X to this Decision. The Annex to Decision 2011/291/EU is amended in accordance with Annex XI to this Decision. The Annex to Decision 2011/314/EU is amended in accordance with Annex XII to this Decision. This Decision shall apply from 24 January 2013. Done at Brussels, 23 July 2012. (2) OJ L 164, 30.4.2004, p. 1. (3) OJ L 235, 17.9.1996, p. 6. (4) OJ L 110, 20.4.2001, p. 1. (5) OJ L 256, 1.10.2011, p. 1. (6) OJ L 264, 8.10.2011, p. 32. (7) OJ L 344, 8.12.2006, p. 1. (8) OJ L 64, 7.3.2008, p. 1. (9) OJ L 64, 7.3.2008, p. 72. (10) OJ L 77, 19.3.2008, p. 1. (11) OJ L 84, 26.3.2008, p. 1. (12) OJ L 84, 26.3.2008, p. 132. (13) OJ L 104, 14.4.2008, p. 1. (14) OJ L 99, 13.4.2011, p. 1. (15) OJ L 126, 14.5.2011, p. 1. (16) OJ L 126, 14.5.2011, p. 53. (17) OJ L 139, 26.5.2011, p. 1. (18) OJ L 144, 31.5.2011, p. 1. In clause 3.4.3 ‘TECHNICAL COMPATIBILITY’, sixth paragraph, the 10th indent is deleted. The permissible payload that a wagon may carry, for lines up to 25t, shall be determined by application of clauses 6.1 and 6.2 of EN 15528:2008. For the train detection systems characteristics additional requirements are imposed on wagons (see CCS TSI Annex A, Appendix 1)’. ‘The method of determining the brake mass/brake mass percentage shall remain applicable in addition to the method of deceleration profiles; the manufacturer shall supply these values’. ‘The minimum parking brake performance, considering no wind, shall be determined by calculations as defined in clause 6 of EN 14531-6:2009. The minimum performance of the parking brake shall be marked on the unit. The marking shall comply with EN 15877-1:2010 (clause 4.5.25)’. In clause 4.2.6.1.1 ‘General’, the third paragraph is deleted. In clause 4.2.8 ‘MAINTENANCE: MAINTENANCE FILE’, the fifth paragraph is deleted. In clause 4.2.8.1.2 ‘Management of the Maintenance File’, the first indent is deleted. Section 4.2.3.2 of the present TSI specifies the mass per unit length and geometrical characteristics of axle spacing, including, requirements imposed on wagons (see CCS TSI Annex A, Appendix 1) for the train detection systems characteristics’. ‘When a limit of the climatic conditions defined in Section 4.2.6.1.2 of this TSI is exceeded, the system is in a degraded mode. In this case operational restrictions shall be considered and information given to the Railway Undertaking or train driver’. ‘4.3.5.4. Static axle load, mass per unit length and geometrical characteristics of axle spacing ’. The data to be provided for the register provided for in Articles 34 of Directive 2008/57/EC are those indicated in Commission Implementing Decision 2011/665/EU of 4 October 2011 on the European register of authorised types of railway vehicles (1). 7.6.5. Even if a wagon has been authorised for placing in service, there is a need to ensure that it is operated on compatible infrastructures’. ‘Loads and vehicles conforming to enlarged gauges GA, GB or GC shall only be allowed on lines widened to these gauges. All GA, GB and GC movements on lines not widened to these gauges shall be treated as special consignments’. Goods Setting: up to 60 seconds’. ‘The following freight wagon gauges are available on lines in Great Britain: W6, W7, W8 and W9. The gauges are described below in Section A –W6, Section B —Sample Calculation, Section C —W7 and W8, Section D —W9. Application of these gauges is limited to vehicles whose lateral suspension movement and sway is minimal. Vehicles with soft lateral suspension and/or large sway shall be evaluated dynamically according to Notified National Standards’. ‘Freight wagons operating in the UK shall have the equivalent brake force and, if applicable, any brake force factors calculated. Freight wagons operating in Member States other than the UK shall have the brake weight/braked weight percentage calculated. Freight wagons required to operate in the UK and other Member States shall have both equivalent brake force/brake force factors and brake weight/braked weight percentage calculated’. 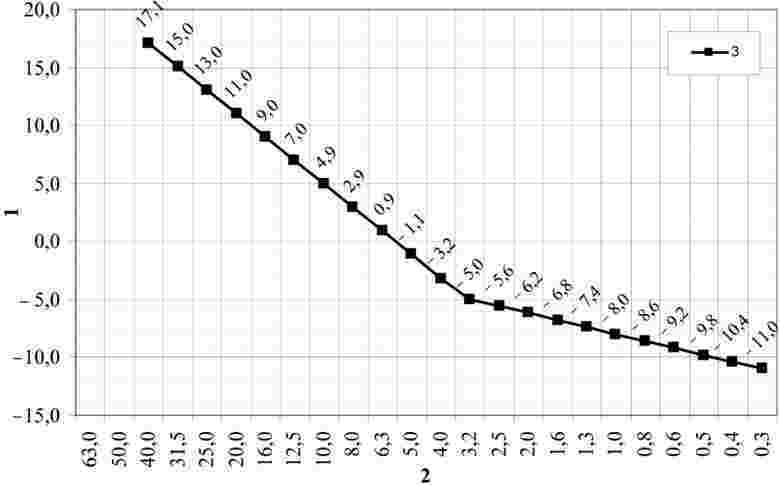 in the subchapter ‘Calculation of Brake Force Data’, point (ii) is deleted. in subsection 4.2, second paragraph, the sixth indent is deleted. in subsection 10, the words ‘and in particular:’ and the ninth indent are deleted. in subsection 5, second paragraph, the third indent is deleted. in subsection 10, the second indent is deleted. in Section Module SH2 (Full Quality Management System with Design Examination), subsection 10, the eighth indent is deleted. Standard functions up to a maximum of 14 l brake cylinder volume or control volume (dummy volume)’. SW 4/3 — with the C3W cut-off valve, filling of control and auxiliary reservoirs has to take almost identical times’. ‘G/P brake with non-universal action where the connected brake cylinder or pre-adjusted volumes are up to 14 l’. SW 4C — controlled filling of control reservoir with protection against overcharge when brake is released’. Distributor choke should be adapted in stages to the vehicle’s auxiliary reservoir volumes’. (1) OJ L 264, 8.10.2011, p. 32.’. ‘The IM shall designate line-side hot axle box detectors and their location. The RU shall include information about these in the Route Book’. The provisions in clause 4.2.7.12 “Emergency lighting” of HS RST TSI apply also to CR passenger rolling stock, except that an autonomy of 90 minutes after the main energy supply has failed is required.’. In clause 4.3.2 ‘Interfaces with the Infrastructure subsystem’, the header of the first column in the table is replaced by ‘SRT TSI’. The definition of escape walkways is described in Section 4.2.2.7 of the present TSI.’. In clause 4.3.3 ‘Interfaces with the Energy subsystem’, the header of the first column in the table is replaced by ‘SRT TSI’. In clause 4.3.4 ‘Interfaces with the Control-Command-Signalling subsystem’, the header of the first column in the table is replaced by ‘SRT TSI’. In clause 4.3.5 ‘Interfaces with the Traffic Management and Operation subsystem’, the header of the first column in the table is replaced by ‘SRT TSI’. The header of the first column in the table is replaced by ‘SRT TSI’. In clause 4.3.7 ‘Interfaces with the PRM subsystem’, the header of the first column in the table is replaced by ‘SRT TSI’. The data to be provided for the registers provided for in Articles 34 and 35 of Directive 2008/57/EC of the European Parliament and of the Council (1) are those indicated in Commission Implementing Decision 2011/633/EU of 15 September 2011 on the common specifications of the register of railway infrastructure (2) and Commission Implementing Decision 2011/665/EU of 4 October 2011 on the European register of authorised types of railway vehicles (3). In clause 6.2.1 ‘Conformity assessment (general)’, the text ‘CR SRT TSI’ is replaced by ‘SRT TSI’. The European register of authorised types of vehicle, including all information as specified in the TSI’. The Register of Infrastructure, including all information as specified in the TSI’. The Register of Infrastructure or the European register of authorised types of vehicle, including all information as specified in the TSI’. (2) OJ L 256, 1.10.2011, p. 1. For platforms on the High Speed network where trains complying with the High-Speed Rolling Stock TSI are intended to stop in normal commercial operation, values are set in the HS INS TSI (clause 4.2.20.4). For platforms on the High Speed network where no train complying with the High-Speed Rolling Stock TSI is intended to stop in normal commercial operation and for platforms on the Conventional Rail Network, two nominal values are permissible for platform height: 550 mm and 760 mm above the running surface. The tolerances of these dimensions shall be within –35 mm/+ 0 mm. For platforms on the Conventional Rail Network where tramways (e.g. Stadtbahn or Tram-Train) are intended to stop, a nominal height of platform between 300 mm and 380 mm is permitted. The tolerances on these dimensions shall be within +/–20 mm. 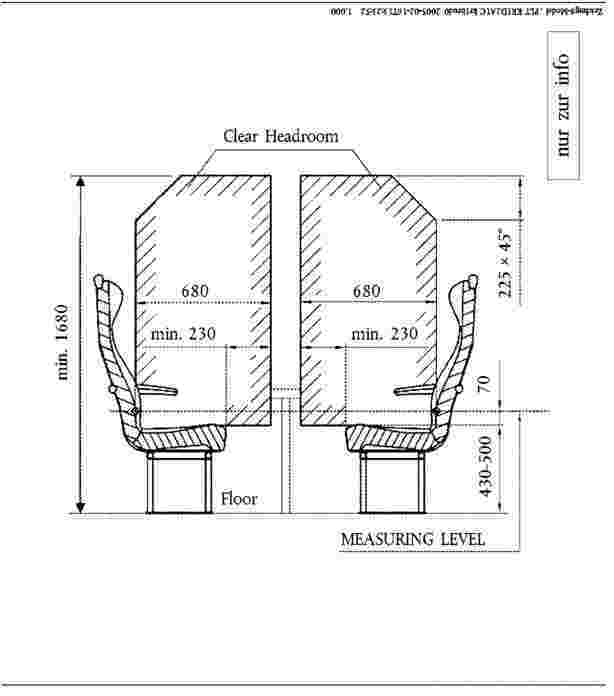 In curves with a radius of less than 500 m, it is permitted for the platform height to be greater or less than those specified provided that the first useable step of the vehicle complies with figure 11 in clause 4.2.2.12.1’. ‘This TSI does not apply to Rolling Stock being renewed or upgraded under the terms of a contract already signed or under final phase of tendering procedure at the date of entry into force of this TSI.’. ‘The infrastructure structural subsystem of the trans-European high-speed rail system includes the tracks and switches and crossings of the high-speed lines within the scope set out in Chapter 1’. ‘The performance levels of high-speed trains can also be enhanced by adopting specific systems, such as vehicle body tilting. Special conditions are permitted for running such trains, provided they do not entail restrictions for high-speed trains not equipped with tilting’. In clause 4.2.3 ‘Minimum infrastructure gauge’ the third paragraph is deleted. In clause 4.2.8.1 ‘Cant deficiency on plain track and on the through route of switches and crossings’ note (a) is deleted. ‘Design values of track gauge, rail head profile and rail inclination for plain line shall be selected to ensure that the equivalent conicity limits set out in the table are not exceeded when the following wheelsets are modelled passing over the designed track conditions (simulated by calculation according to EN 15302:2008 + A1:2010). ‘The rail inclination for a given route shall be selected from the range 1/20 to 1/40’. In clause 4.2.13.1 ‘Lines of category I’, subsection ‘Longitudinal loads’, the last paragraph is deleted. The load models shall be multiplied by the factor alpha (α) as set out in EN 1991-2:2003 paragraphs 6.3.2(3)P and 6.3.3(5)P. The value of α shall be equal to or greater than 1. The load effects from the load models shall be enhanced by the dynamic factor phi (Φ) as set out in EN 1991-2:2003 paragraphs 6.4.3(1)P and 6.4.5.2(2). The maximum vertical deflection of a bridge deck shall not exceed the values set out in paragraph A2.4.4.2.3(1) of Annex A2 of EN 1990:2002 + EN 1990:2002/A1:2005.’. ‘The maximum permitted peak design values of bridge deck acceleration calculated along the line of a track shall not exceed the values set out in paragraph A2.4.4.2.1(4)P of Annex A2 of EN 1990:2002 + EN 1990:2002/A1:2005. The design of bridges shall take into account the most unfavourable effects of either the vertical loads specified in clause 4.2.14.1 or load model HSLM, in accordance with EN 1991-2:2003 paragraph 6.4.6.5(3).’. The nosing force shall be taken into account in the design of structures as set out in EN 1991-2:2003 paragraphs 6.5.2(2)P and (3). It shall be applied on both straight track and curved track.’. ‘Traction and braking forces shall be taken into account in the design of structures as set out in EN 1991-2:2003 paragraphs 6.5.3(2)P, (4), (5) and (6). The direction of the traction and braking forces shall take account of the permitted directions of travel on each track.’. In clause 4.2.18 ‘Electrical characteristics’, the second paragraph is deleted. ‘On lines of Category II and III, a similar lateral space shall be provided at all locations where this provision is reasonably practicable. Where a space cannot be provided, Railway Undertakings shall be informed of this specific situation’. ‘Staff engaged in the maintenance of the high-speed infrastructure subsystem, when working on or near the track, shall wear reflective clothes, which bear the EC mark’. The data to be provided for the register provided for in Article 35 of Directive 2008/57/EC of the European Parliament and of the Council (1) are those indicated in Commission Implementing Decision 2011/633/EU of 15 September 2011 on the common specifications of the register of railway infrastructure (2). The railhead profile shall be selected from the range set out in EN 13674-1:2011 Annex A. The railhead profile shall be selected from the range set out in Annex A of EN 13674-1:2011 and in Annex A of EN 13674-2:2006 + A1:2010.’. The steel grade of the rail shall comply with EN 13674-1:2011 Chapter 5. The steel grade of the rail shall comply with EN 13674-2:2006 + A1:2010 Chapter 5’. In clause 5.3.2 ‘The rail fastening systems’, point (d) is deleted. In clause 6.1.6.2 ‘Assessment of fastening system’, the second indent is deleted. In clause 7.3.6.2, Section ‘Platforms (Section 4.2.20)’, subsection ‘Minimum platform length’, the second paragraph is deleted. in Table A1, row ‘5.3.2.d Electrical resistance’ is deleted. in Table A2, row ‘4.2.18 Electrical characteristics’ is deleted. In Annex B1, in Table B1, row ‘4.2.18 Electrical characteristics’ is deleted. In Annex C, the chapter title: ‘Module A: Internal Design Control with Production Verification’ is replaced by the chapter title: ‘Module A1: Internal Design Control with Production Verification’. In Annex H, the fourth line is deleted. (2) OJ L 256, 1.10.2011, p. 1.’. The operating rules for ERTMS/ETCS and ERTMS/GSM-R are specified in the technical document “ERTMS operational principles and rules — version 2” published on the ERA website (http://www.era.europa.eu).’. In clause 3.4.3 ‘Technical Compatibility’, subsection ‘Essential requirement 2.4.3 paragraph 3’, second subparagraph, the 18th indent is deleted. In Section 3.7 ‘Elements of the rolling stock subsystem related to the essential requirements’, the last row ‘Infrastructure and rolling stock register’ of the table is deleted. ‘The common characteristics of rolling stock subsystem are defined in Section 4 of this TSI’. In clause 4.2.2.5, the second paragraph is deleted. ‘The type or design examination certificate of “EC” verification of the rolling stock shall indicate the assessed gauge’. ‘When, for vehicles with independent rotating wheels, inhibition of false alarms by using the train identification number is not possible, priority shall be given to the on-board detection system provided that all bearings of the wheels are monitored’. ‘As an alternative to this requirement on alarm trigger levels, it is permissible by mutual agreement between the infrastructure-manager and the railway undertaking to identify trains by train identification systems and use specific alarm trigger levels as agreed, that are different from the above levels.’. ‘case 2: for other braking cases, such as a normal service braking for speed reduction or non-repetitive braking to a halt, or repetitive braking for speed control, the use of the brake and the maximum braking force allowed shall be determined by the infrastructure manager for each line concerned. Any limitations on the braking force defined in clause 4.2.4.5 shall be justified and taken into account in the operating rules’. ‘The range of values of speed and conicity for which the vehicle is designed to be stable shall be specified and certified’. ‘rail section 60 E 2 defined in EN 13674-1:2003/A1:2007’. This parameter is an interface with the high-speed infrastructure subsystem in that the minimum curvatures to be taken into account are defined on one hand for the high-speed tracks (based on the cant deficiency) and on the other hand for the stabling tracks. Reference shall be made to clauses 4.2.6 and 4.2.24.3 of the High-Speed Infrastructure TSI 2006’. For emergency braking on all lines except specific connecting lines’. For full or normal service braking on the sections of the line where the infrastructure manager permits it’. The rolling stock and all its constituent parts shall meet the requirements of this TSI within the climatic zones T1, or T2, or T3 as specified in EN50125-1:1999 in which it is intended to run’. ‘If the assessment is successful for a platform height of 240 mm or lower, the train shall be deemed to be acceptable for all lines’. ‘The conformity requirements are addressed in clause 7.1.7’. 660 Hz ± 30 Hz’. In clause 4.2.8.3.6.1 ‘Pantograph contact force’, point (b) ‘Adjustment of pantograph mean contact force and integration into the Rolling Stock Sub-System’, the fifth paragraph is deleted. In clause 4.2.10.1 ‘Responsibilities’, the fifth paragraph is deleted. ‘Safety/interoperability-relevant limits: For the safety/interoperability relevant components or parts according to this TSI, this document shall give the measurable limits not to be exceeded in service (to include operation in degraded mode)’. In clause 4.2.10.3 ‘Management of the maintenance file’, fourth paragraph, the first indent is deleted. In clause 4.2.10.4 ‘Management of the maintenance information’, the first indent is deleted. The data to be provided for the register provided for in Article 34 of Directive 2008/57/EC of the European Parliament and of the Council (1) are those indicated in Commission Implementing Decision 2011/665/EU of 4 October 2011 on the European register of authorised types of railway vehicles (2). For newly built rolling stock of an existing design, in case of class 2 rolling stock, which was not in the scope of the previous (2002) version of the HS RST TSI, it is permitted, during a transitional period of 4 years starting at the date of application of the present TSI (i.e. 1 September 2008), to authorise such rolling stock to be placed in service without application of the present HS RST TSI. In this case, the notified national rules shall apply. After the end of the transitional period of 4 years, an assessment of conformity to the present HS RST TSI shall be performed to allow the concerned newly built rolling stock to be placed in service. An existing design as mentioned in clauses 7.1.2 and 7.1.3 is a particular design which has already been used to produce a type of rolling stock, which has already been authorised to be placed into service in a Member State before the date of application of the present TSI.’. Any future agreement or modification of existing agreements, in particular those which include the procurement of rolling stock whose design is not certified in accordance with the TSIs, shall take into account EU legislation and this TSI. Member States shall notify the Commission of such agreements/modifications. The same procedure as set out in clause 7.1.8.1 then applies’. Mutual agreement between the infrastructure-manager and the railway undertaking is requested to identify trains by train identification systems and use of specific alarm trigger levels’. The High Speed Infrastructure TSI 2006 contains a specific case for the British network requiring platforms on upgraded lines to have a usable length of at least 300m. The length of high speed trains intended for operation on the British network shall be compatible with the length of the platforms at which they are intended to stop’. For lines in Categories II and III, pantograph heads shall not have insulated horns, unless permitted for specific routes. For lines in Categories II and III, the conducting range of the pantograph head shall be 1 300 mm. Pantographs shall have a working range of 2,1 m.
Pantograph heads shall have a maximum along track width of 400 mm’. ‘At all speeds up to line speed; maximum cant; maximum wind speed at which unrestricted operation is possible, and extreme wind speed:’. in subsection 10, the eighth indent is deleted. ‘This annex describes the procedure that shall be followed to determine the deceleration ai (m/s2) for the speed range [vi-1, vi] in the degraded conditions of case B in table 6 of clause 4.2.4.1 of this TSI and the corresponding maximum stopping distances in Table 7 of clause 4.2.4.1 of this TSI’. (2) OJ L 264, 8.10.2011, p. 32.’. ‘The voltage and frequency at the terminals of the substation and at the pantograph shall comply with EN 50163:2004, clause 4. Conformity shall be demonstrated by means of a design review’. ‘The Energy subsystem design shall assure the ability of the power supply to achieve the specified performance’. ‘DC power supply systems are not required to be designed to permit the use of regenerative braking as a service brake’. ‘External electromagnetic compatibility is not a specific characteristic of the trans-European high-speed rail network. Energy supply installations shall comply with EN 50121-2:2006 to meet all requirements concerning electromagnetic compatibility’. In clause 4.2.9.2 ‘Geometry of overhead contact line’, the fourth paragraph is deleted. ‘The design of the overhead contact line system shall comply with the infrastructure gauges defined in clause 4.2.3 of the High Speed Infrastructure TSI. Overhead contact line design shall comply with the kinematic envelope of the vehicles’. ‘New lines may additionally permit the use of Pantographs following C1 or C2 curves. Existing lines may require the use of pantographs following curves C1 or C2’. ‘Conformity assessment shall be carried out in accordance with EN 50367:2006, Annex A.4.1’. ‘Adequate means shall be provided to allow a train that is stopped within the phase separation section to be restarted. The neutral section shall be connectable to the adjacent sections by remotely controlled disconnectors’. the fifth paragraph is deleted. 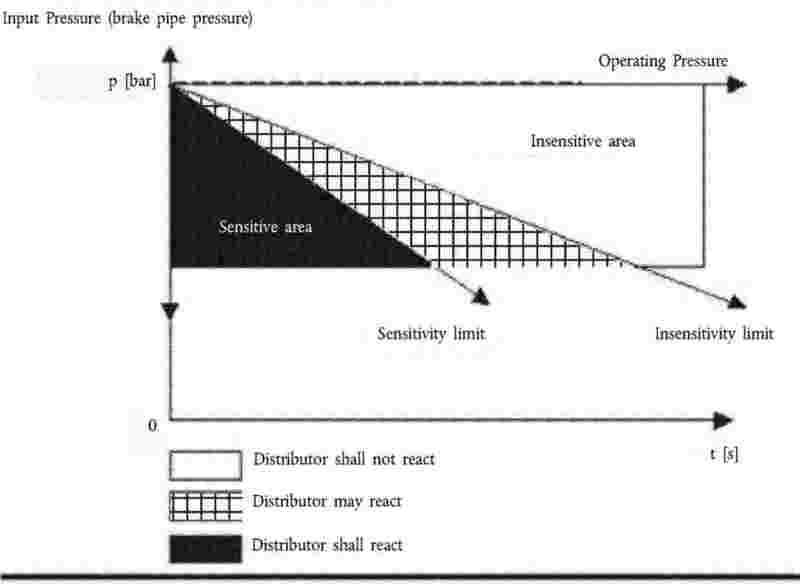 ‘The neighbouring Infrastructure Managers shall agree either point (a) or point (b) according to the prevailing circumstances’. ‘Electrical protection coordination design of the Energy subsystem shall comply with the requirements detailed in EN 50388:2005, clause 11’. The High Speed Energy subsystem shall withstand overvoltages generated by rolling stock harmonics up to the limits stated in EN 50388:2005 clause 10.4 for AC supply. Conformity assessment shall consist of a compatibility study that demonstrates that the subsystem element can withstand harmonics up to the defined limits according to EN 50388:2005, clause 10. Conformity assessment shall be conducted according to EN 50388:2005 clause 10’. the full quality management system with design examination procedure (module SH2) indicated in Annex A.3 to this TSI.’. ‘Taking account of all the applicable essential requirements, the energy subsystem is characterised by the specifications set out in clauses 4.2 to 4.7’. In clause 4.2.3 ‘Voltage and frequency’, the fourth paragraph is deleted. In clause 4.2.4.1 ‘Maximum train current’, the first paragraph is deleted. In clause 4.2.6 ‘Current capacity, DC systems, trains at standstill’, the third paragraph is deleted. In clause 4.2.7 ‘Regenerative braking’, the third paragraph is deleted. In clause 4.2.13.1 ‘Contact wire height’, the fifth paragraph is deleted. In clause 4.2.13.3 ‘Lateral deviation’, the fourth paragraph is deleted. In clause 4.2.17 ‘Pantograph spacing’, the last paragraph (text after table 4.2.17) is deleted. ‘For AC lines the contact wire shall be designed to permit the use of plain carbon contact strips (CR LOC&PAS TSI clause 4.2.8.2.9.4.2).’. In clause 4.2.19 ‘Phase separation sections’, the fourth paragraph is deleted. ‘The neighbouring Infrastructure Managers shall agree either (a) or (b) according to the prevailing circumstances.’. In clause 4.2.20.2 ‘Pantographs raised’, the second paragraph is deleted. Under normal conditions in order to conform to clause 4.2.4.1, the maximum permissible train current shall not exceed the value contained in the Register of Infrastructure. Under abnormal conditions the maximum permissible train current can be lower. The Infrastructure Manager shall give notice of the variation to the Railway Undertakings’. The data to be provided for the register provided for in Article 35 of Directive 2008/57/EC are those indicated in Commission Implementing Decision 2011/633/EU of 15 September 2011 on the common specifications of the register of railway infrastructure (1). ‘An existing subsystem may allow the circulation of TSI-conform vehicles whilst meeting the essential requirements of Directive 2008/57/EC. The infrastructure manager should be able in this case, on a voluntary basis, to demonstrate compliance of the existing subsystem with the basic parameters of this TSI’. A subsystem in current operation may permit trains conforming to the requirements of the HS and CR rolling stock TSIs to operate whilst meeting the essential requirements’. (1) OJ L 256, 1.10.2011, p. 1.’. In Section 4.2.1 ‘TSI categories of line’, point (4) is deleted. In Section 4.2.2 ‘Performance parameters’, points (6), (7) and (8) are deleted. The performance levels of conventional trains can be enhanced by adopting specific systems, such as vehicle body tilting. Special conditions are permitted for running such trains, provided they do not entail restrictions for other trains not equipped with such systems’. In Section 4.2.4.2 ‘Distance between track centres’, point (3) is deleted. In Section 4.2.4.3, points (9) and (10) are deleted. In Section 4.2.4.4 ‘Minimum radius of horizontal curve’, point (5) is deleted. In Section 4.2.5.1 ‘Nominal track gauge’, point (2) is deleted. In Section 4.2.5.2 ‘Cant’, point (2) is deleted. In Section 4.2.5.7.1 ‘Plain line’, point (3) is deleted. ‘Where the track is compatible with the use of braking systems independent of adhesion conditions local climatic conditions and the expected number of repeated brake applications at a given location shall be taken into account. Braking systems independent of wheel-rail adhesion conditions include magnetic track brakes and eddy current track brakes.’. In Section 4.2.10.1 ‘Usable length of platforms’, point (3) is deleted. In Section 4.2.12.1 ‘Distance markers’, point (2) is deleted. In Section 4.2.13.1 ‘General’, point (2) is deleted. In Section 5.3.1.1 ‘Railhead profile’, point (2) is deleted. Section 6.1.4.2 ‘EC declaration of conformity for the rail’ is deleted. Section 6.5 ‘Assessment of Register of Infrastructure’ is deleted. In Section 7.6.3.1 ‘Performance parameters (4.2.2)’, point (6) is deleted. 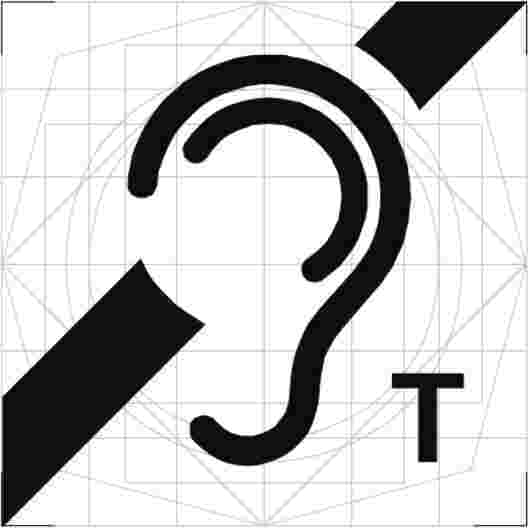 In Section 7.6.10.1 ‘Structure gauge (4.2.4.1)’, point (4) is deleted. In clause 4.1.1 ‘General’, the fifth paragraph is deleted. In clause 4.2.2.2.3 ‘End coupling’, subclause (a) ‘End coupling — General’, first paragraph, the second indent is deleted. In clause 4.2.2.10 ‘Load conditions and weighted mass’, the seventh paragraph is deleted. In clause 4.2.3.1 ‘Gauging’, the sixth and seventh paragraphs are deleted. In clause 4.2.3.3.1 ‘Rolling stock characteristics for the compatibility with train detection systems’, the second paragraph is deleted. In clause 4.2.4.5.2 ‘Emergency braking’, subclause ‘Calculation of the deceleration’ the sixth paragraph (i.e. ‘for each load condition … of this TSI’) is deleted. The seventh paragraph is deleted. ‘The following “reference case” for the slope to be considered is suggested: maintain the speed of 80 km/h on a slope of 21 ‰ constant gradient over a distance of 46 km’. ‘The unit (train or vehicle) parking brake performance shall be calculated as defined in the standard EN14531-6:2009’. ‘If this emergency provision is ensured through battery supplied forced ventilation, measurements shall be performed in order to define the duration in which the CO2 level will remain below 10 000 ppm, assuming a passenger load derived from the load condition “design mass under normal payload”. The duration shall not be less than 30 minutes’. In clause 4.2.6.1 ‘Environmental conditions’, the sixth paragraph is deleted. In clause 4.2.6.1.1 ‘Altitude’, the second paragraph is deleted. In clause 4.2.6.1.2 ‘Temperature’, the second paragraph is deleted. In clause 4.2.6.1.5 ‘Snow, ice and hail’, the sixth paragraph is deleted. In clause 4.2.8.1.2 ‘Requirements on performance’, the fifth paragraph is deleted. In clause 4.2.8.2.2 ‘Operation within the range of voltages and frequencies’, the third paragraph is deleted. In clause 4.2.8.2.4 ‘Maximum power and current from the overhead contact line’, the third paragraph is deleted. ‘Limit values are specified in clause 4.2.6 of the CR energy TSI’. In clause 4.2.8.2.8 ‘Energy consumption measuring function’, the third paragraph is deleted. In clause 4.2.8.2.9.2 ‘PANTOGRAPH HEAD GEOMETRY (IC LEVEL)’, the second paragraph is deleted. In clause 4.2.10.1 ‘General and categorisation’, the fourth paragraph is deleted. The data to be provided for the register provided for in Article 34 of Directive 2008/57/EC are those indicated in Commission Implementing Decision 2011/665/EU of 4 October 2011 on the European register of authorised types of railway vehicles (1).